You would hardly imagine there could be anything new to say about Snow White. Haven’t there been movies galore telling her story? She was even a (fascinating) character in the long-running graphic novel series Fables. How could there be an adult novel about Snow White that wouldn’t be just a rehash of stories you’ve heard since you were a child, stories that have been around in different cultures for hundreds of years? How about if Snow White’s story is located in the Old West? How about if, instead of a king and queen having a baby who’s white as snow, with hair black as ebony and lips red as blood, her father was a miner and her mother was a Crow woman he married, who died giving birth to a daughter? In Six-Gun Snow White, by Catherynne N. Valente, suddenly the whole story takes on a different cast, and when it’s told, as it is here, in a voice that’s rich and reads like a folktale (or perhaps a tall tale), it’s a new take on the old tale, and a fun read. A lot stranger, for more adventurous readers, is Woman with a Blue Pencil, by Gordon McAlpine. The protagonist (at first) is a Japanese American academic on the eve of Pearl Harbor, turned into a private investigator to find the truth about his wife’s untimely death. As he begins to dig into the case, he discovers to his shock and horror that all evidence of his existence, let alone his wife’s death, seems to have been erased. Nobody recognizes him, nobody acknowledges his presence, and as he soldiers on in his investigation, he also has to face the changing attitudes towards Japanese Americans in the aftermath of Pearl Harbor. What he doesn’t know is that he’s a fictional character (how meta) whose author has replaced him with a more politically correct Korean P.I. who’s trying to solve the same (or very similar) mystery in the same city, and while all these fictional characters are struggling with their existence, the actual author who created them and is trying to write and publish a viable novel spars with his editor, the woman of the title. Three stories run in parallel, and each comments on the other, so it’s both a mystery novel, a deconstruction of mysteries, and an examination of the lives of Japanese Americans in World War II. A more traditional storyline, with a twist of its own, is The Devil in the Valley, by Castle Freeman, Jr. The idea of the devil making a bargain with an ordinary person is an old one, going back to Dr. Faustus and continuing through The Devil and Daniel Webster to modern movies, but it’s never been told quite the way Freeman tells it here. We find ourselves in rural Vermont where a “closer” by the name of Dangerfield seeks out an old man named Taft to make him an offer of anything he wants for the next seven months, in exchange for Taft’s soul. Naturally, Dangerfield isn’t as crude as that, and naturally Taft is a bit cagier than that (the first thing he asks Dangerfield for is new tires for his truck), but they end up agreeing, and then the fun really begins. What would Taft want? Not the ordinary things you’d expect: power, riches, fame. What he wants is to do good. And what exactly does that mean? You’ll have to read this charming book to find out. I’ll admit it right up front: Neil Gaiman is one of my favorite writers, a man of many talents who’s written award-winning short stories, children’s books, adult novels and graphic novels (indeed, his long graphic novel, The Sandman, has won numerous awards and basically changed the face of graphic novels for adults). He can be funny, creepy, erudite, but he is always a great read. So I’m pleased to announce that Neil Gaiman’s book, The Ocean at the End of the Lane, will be the selection for the Field Notes Book Group for December, 2015. The group will meet to discuss this book (and have donuts and coffee) on December 12 from 11:00 a.m. to 12:30 p.m. in the Gallery at the library. The Ocean at the End of the Lane is a short book (always a plus when you’re doing something in the holiday season), but a powerful one, mythic and enthralling. The unnamed narrator, returning to his childhood home for a funeral, reminisces about an incredible experience he had when he was seven years old and living in that house, when he met Lettie Hempstead, a seeming 11 year old girl who claimed to have been 11 years old for a very long time, her mother and her grandmother, none of whom is what she seems. On a strange trip with Lettie, he inadvertently let an evil from another dimension enter our world, an evil that turns horrifyingly personal as it takes up residence in his house and takes over his own father. It is up to him and the three strange women to protect the world from this nightmare, at a considerable cost. The book is available at the front desk of the library, so come and check out a copy and then prepare to join us in a lively discussion (with snacks!) on December 12. WORLD FANTASY AWARD WINNERS 2015 — AT THE LIBRARY! This year’s World Fantasy Convention was held in Saratoga Springs, New York, from November 5 through November 8. Members of the convention nominated works to be recognized as the best in their field, and awards were given for, among other things, Best Novel and Best Novella. 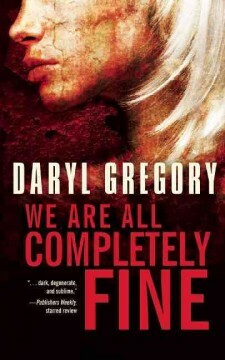 We are pleased to announce that the 2015 Best Fantasy Novel, The Bone Clocks, by David Mitchell, and the 2015 Best Fantasy Novella, We Are All Completely Fine, by Daryl Gregory, are on the shelves of the Field Library in Peekskill. 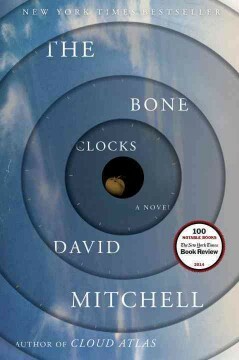 The Bone Clocks, like Mitchell’s previous award-winning Cloud Atlas, is a most unconventional book. It’s structured like six separate novellas with some interlocking characters, a protagonist in one section being a peripheral character in the next, and it takes patience to follow all the threads of the plot and characters to the final denouement where everything finally comes together. The protagonist, if you can say a book like this has a protagonist, is Holly Sykes, who appears as a rebellious teenager who turns out to have psychic powers in the first section, set in the 1980’s in Great Britain, and who finds herself in the middle of a battle between two groups of extraordinary characters, one group that achieves near immortality by sucking the souls of ordinary people, and the other group which opposes the first group and tries to protect people from the soul-sucking. If you’re looking for a straightforward quest-type fantasy novel, this is not the one for you, but if you’re in the mood to expand your horizons and follow a brilliant writer down a twisting rabbit hole, give The Bone Clocks a try. We Are All Completely Fine is almost a direct opposite of The Bone Clocks, short where the latter is long, set in the present day exclusively (all right, there are a couple of flashbacks, but they don’t go back that far), and closer to horror than to pure fantasy. The characters have all been touched in some way by nightmares in real life: Harrison Squared, as he’s known, is famous as a monster hunter who encountered some Lovecraftian creatures in real life when he was a boy; Stan was captured and partially eaten by cannibals; Barbara was attacked by the Scrimshaw, a serial killer, who carved a message on her bones; Greta may or may not be a mass murdering arsonist. These are people who keep to themselves, away from the world, until they’re brought together by a psychotherapist for a support group, and they begin to discover that not all the monsters are in the past, or hidden. The book is twisted and fascinating, not as gory as you might think, given the premise, and ultimately satisfying, deserving of its recognition by the World Fantasy Convention. A variety of new and interesting mysteries have arrived at the Field Library. Come on in and check them out! Loren Estleman, one of the masters of the hard-boiled mystery, has a new book out featuring his private eye, Amos Walker. 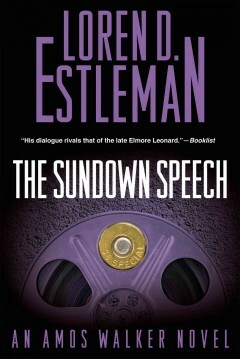 In The Sundown Speech, Amos is hired by a somewhat Bohemian couple to find the filmmaker to whom they’d given a large sum of investment money and who had then disappeared. He finds the missing man easily enough: the filmmaker is in a cupboard in his bedroom, dead, a bullet through his head. Fairly simple case, until Amos’ client is arrested for the murder of the filmmaker, and the client’s wife hires Amos to prove her husband isn’t guilty. As he begins to investigate, the case turns more complex and deeper, and when someone tries to kill him and his client, he begins to wonder if the filmmaker is actually dead, and if he isn’t, whose body DID Amos find in that bedroom? This is the twenty-second of Estleman’s books featuring Amos Walker, and if you enjoy this new book, you have the pleasure of going back and reading through his earlier cases as well (there’s nothing like discovering an author you like and then realizing this author has a back catalog of books you haven’t read yet). 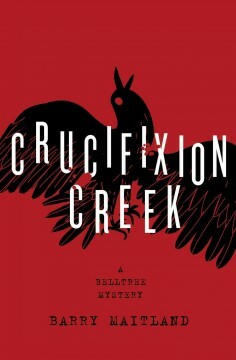 Traveling from Ann Arbor, Michigan, to Sydney, Australia, we have the first book in a new series by Barry Maitland, Crucifixion Creek. The protagonist, Harry Belltree, is a homicide detective who’s a veteran of Afghanistan. His brother in law is stabbed to death in the street, a meth-addicted biker shoots and kills a woman during a police siege, and an elderly couple commit suicide in public. When Harry learns these seemingly disparate deaths may in fact be related, and that all these victims had connections to a seedy and potentially dangerous money man, he feels compelled to dig deeper and find out what’s actually going on. Since one of the victims is related to him, he’s not able to investigate officially, but that’s not going to stop him. Even the risk of his own death or worse is not going to stop him from finding out what the links between these deaths. 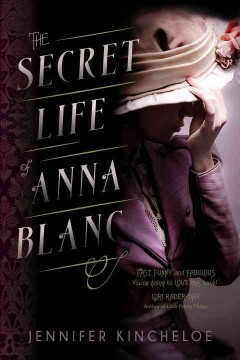 On a somewhat lighter note, The Secret Life of Anna Blanc, by Jennifer Kincheloe, takes us to 1907 Los Angeles, where Anna Blanc, a socialite, finds an unusual way to give rein to her inner Sherlock Holmes. She escapes her chaperone, makes up a fake name, and gets a job as a police matron, where she stumbles on information about a series of murders of prostitutes. The regular police aren’t giving those murders a high priority, but Anna refuses to leave them alone. If the police captain finds out she’s doing this without authorization, she’ll be fired. If her father finds out she’s doing this at all, he’ll disown her. If her fiance finds out, he’ll break off the engagement. Her dilemma is real: either she can follow her dreams and try to find this killer, and run the risk of losing her social standing and financial support and even her job, or she can back off, return to the life she’s supposed to live and stay out of trouble, at the cost of leaving a killer on the loose. Anna is a pip of a character, and the milieu of 1907 Los Angeles is practically a character itself in this romp of a mystery. 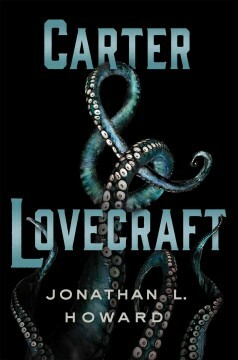 Carter & Lovecraft, a new book by Jonathan Howard, is hard to classify. It’s not exactly a mystery, though there are several mysterious deaths in it, and the main character, Dan Carter, was formerly a police officer and is now a private investigator (a fairly common trope for mystery novels). It’s not exactly a speculative fiction book, either, though there are enough strange things going on which do not follow the ordinary laws of physics as we know them. However you characterize it, though, Carter & Lovecraft is a blast, a book that draws you in and won’t let you go until you’ve reached the bizarre but fitting ending that ties everything together. Dan Carter used to be a police officer, but his last case changed his life. He and his partner had tracked down a truly strange and warped serial killer who performed amateur brain surgery on young boys (see what I mean about strange and warped?). They’d cornered the killer in his house, where he had inexplicably led them, and Carter’s partner, acting completely out of character, shot the man in the gut and stood over him to watch him die. Carter walked out of the room for a moment to find the latest victim of the killer, and he returned just in time to see his partner kill himself, also out of the blue and very much out of character. Carter, freaked out by his partner’s behavior and also by what the police department finds out about the serial killer, leaves the police department and hangs up his shingle as a private investigator, but almost as soon as he does, he’s visited by a man purporting to be an attorney for the estate of a Mr. Hill, whom Carter has never even heard of but who, according to the lawyer, has left Carter his entire estate, consisting of a building in Providence, Rhode Island. When Carter goes to take a look at his inheritance, he discovers it’s a bookstore specializing in antique and hard to find books, and the woman running the bookstore, one Emily Lovecraft, has no idea her store was going to be deeded over to a complete stranger. She’s a bit mollified when Carter agrees to give her half the bookstore, but neither one of them can understand why they’ve been thrown together this way. And then more bizarre things start happening, and Carter is unwillingly drawn into their vortex: a professor drowns in his car in the middle of a parking lot, but there’s no water anywhere in the car or in the vicinity. A young man goes to a casino and breaks the bank against all odds, and after he’s escorted out of the place, the head of the casino dies in an utterly inexplicable fashion. There’s a bizarre section of Providence occupied by a seemingly inbred group of people who have lived there for centuries, who are starting to take an interest in Carter. As Carter starts investigating, he is himself attacked in a most horrifying way by the person he’s trailing. This is the kind of book where, even if you think you know where it’s going, you’re always surprised. You don’t have to know about H.P. Lovecraft and his work to enjoy this book, though of course if you’re familiar with his stories you will find added sneaky delights as you encounter twenty first century riffs on some of his characters (and I will not say more lest I give away some of the pleasures of the plot). Even Dan’s last name evokes the famous Randolph Carter, a character in some of Lovecraft’s more warped stories, and there’s a reason for that, as well as a reason why these two seemingly disparate characters should have been brought together in this place at this time. Carter & Lovecraft isn’t for everyone, certainly. There are some pretty gruesome things alluded to, though the author wisely suggests the horrors rather than dwelling on them (your own imagination will do the rest), and the climax of the book, which ties everything together in a satisfying (if still strange) way, is mind-bending in a way that not everybody will appreciate. But if you have a taste for H. P. Lovecraft, or if you just enjoy a book that’s different and enthralling and warped, give it a try. You won’t regret it (though you may never go to Providence, Rhode Island, again).